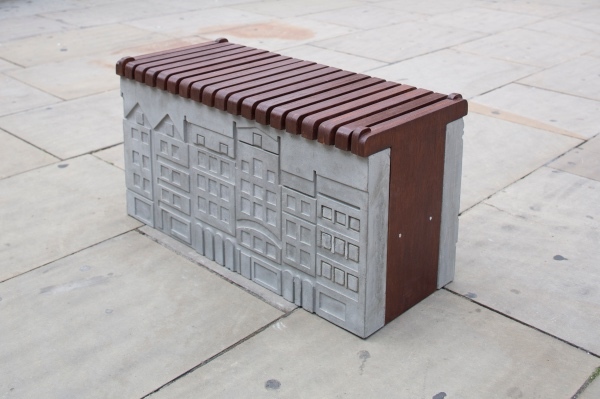 Above – Mariya Lapteva’s City Ghosts which, located in front of the Royal Exchange, is inspired by the history of the area including East India House and the little shopfronts along Leadenhall Street. 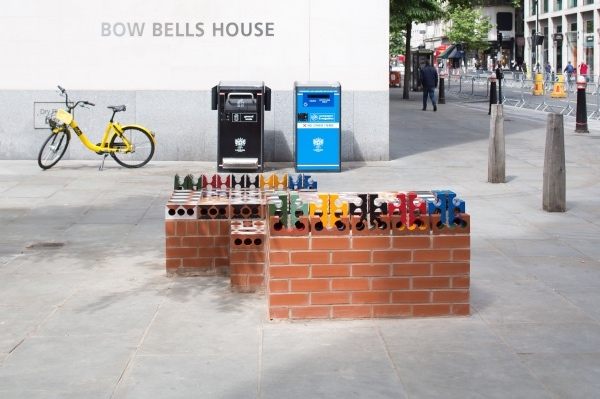 Above – Maria Gasparian’s Ceramic City Bench in Bow Church Yard featuring colours inspired by the “multi-layered context of the City of London that has for centuries been a place for trade, exchange and religious diversity”. 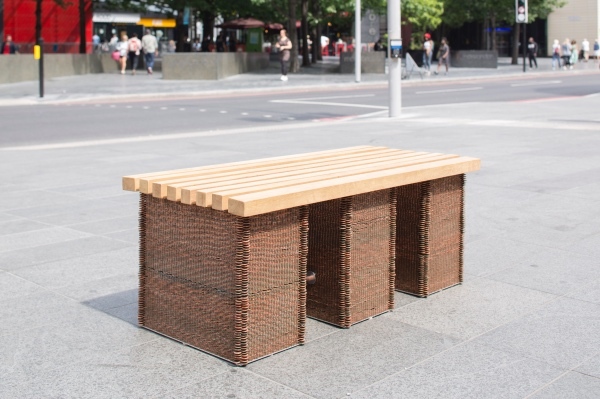 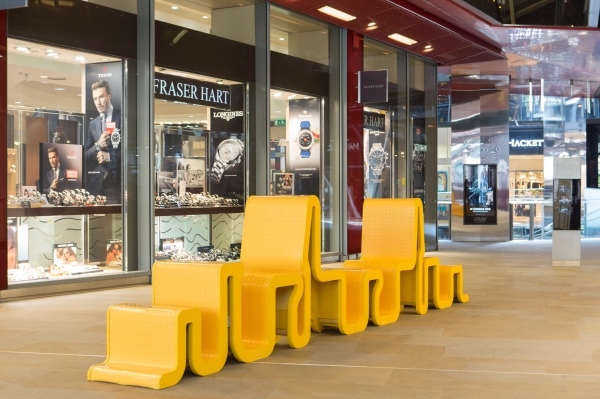 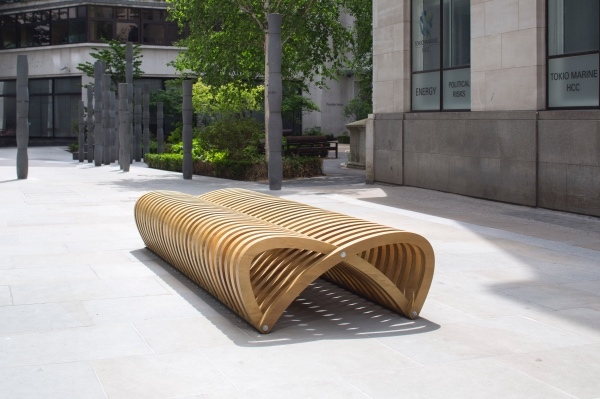 Above – Mills Turner’s Double Bench in Fen Court has been designed to be easy to assemble and adjustable and features an “organic silhouette” which follows the natural curve of the human body.